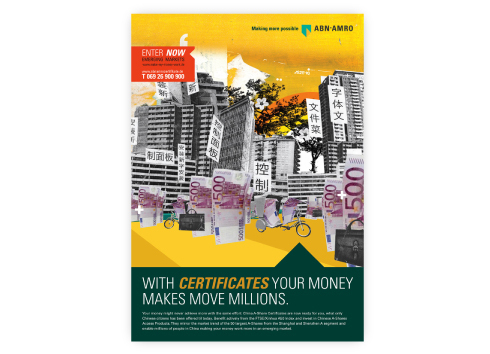 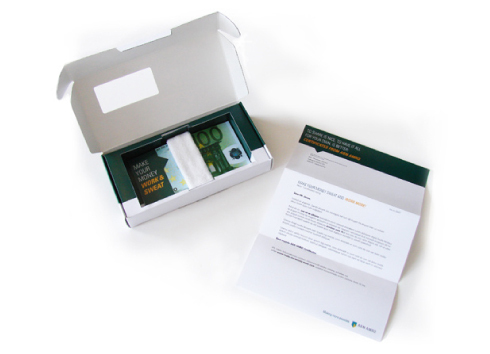 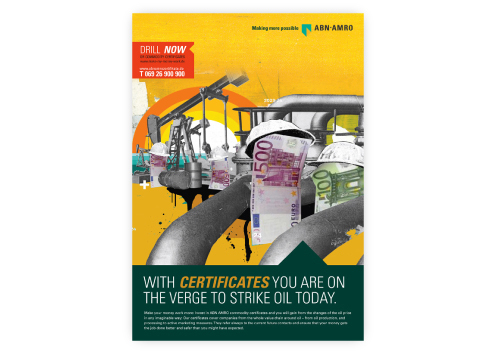 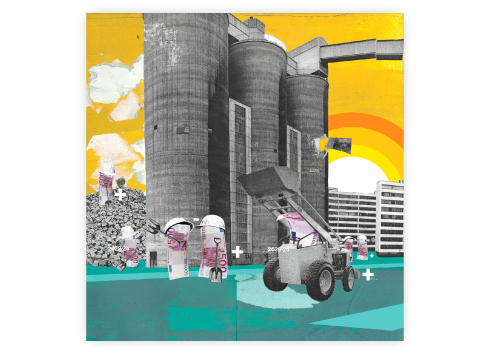 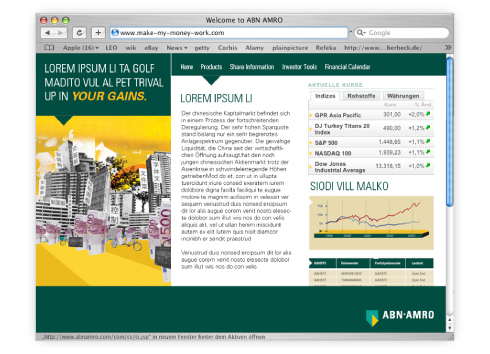 Development of an image campaign for the Dutch bank ABN AMRO. 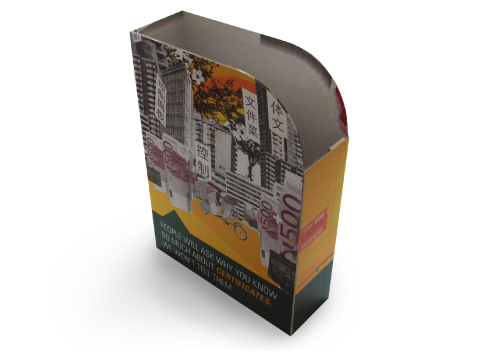 The concept is complemented by a new, innovative design and illustrations, that ensure a strong brand recognition. 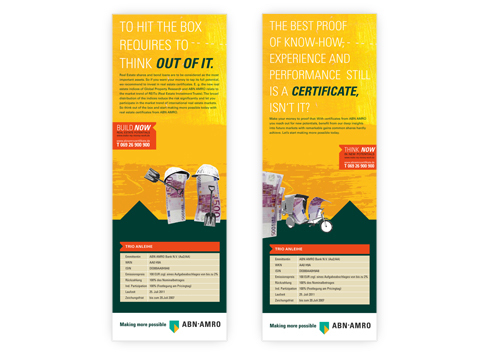 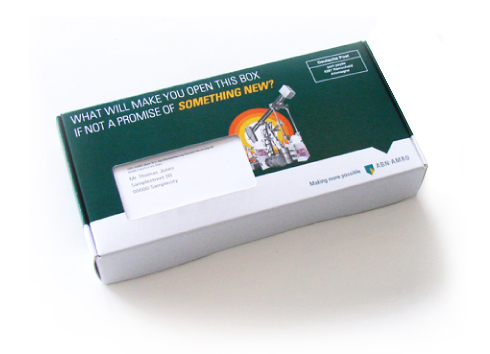 Next to the classical print ads other media, such as mailings, giveaways and online are included in the campaign.